Subject: LongIsland.com - Your Name sent you Event details of "Ready, Set, Brunch! Spuntino Wine Bar & Italian Tapas Introduces Bottomless Brunch in Garden City"
With spring in the air and summer just around the corner, brunch season is upon us. With that in mind, Spuntino Wine Bar & Italian Tapas in Garden City has introduced bottomless brunch – because a Sunday brunch is the perfect way to sit back, relax and wind down the weekend! Every Sunday, guests can enjoy a bottomless brunch of mimosas, Bloody Marys and house-made sangria with any food purchase for $18 per person. Spuntino Wine Bar’s brunch menu features classics like Vegetable Frittata, Mushroom & Goat Cheese Omelet and French Toast, along with new favorites like Soft Scrambled Bruschetta and Knosh Panini. 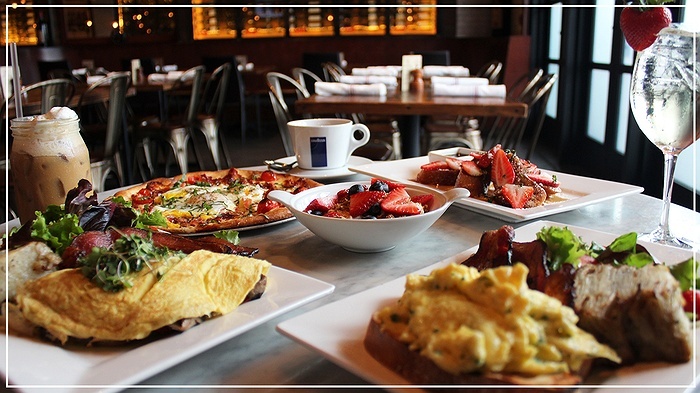 Bottomless Brunch is available on Sunday from 11:30am – 3pm at the Garden City location, excluding holidays. Two-hour seating limit. For more information or to make reservations, visit www.SpuntinoWineBar.com.